These days, anyone can be targeted by a fraud artist intent on stealing money or collecting Social Security numbers, bank account numbers, passwords and other information that can be used to access accounts and go on a buying or borrowing spree. Here are some general precautions, especially for young adults who spend a lot of time online. Use Internet passwords that would be difficult to guess. 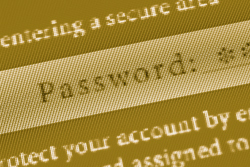 For logging in, use strong passwords that employ unusual combinations of upper- and lower-case letters, numbers and symbols, and then change them regularly. Never provide personal information in response to an unsolicited text message, e-mail, call or letter asking you to “update” or “confirm” personal information. For example, your bank won’t contact you to confirm your bank account number or password, because it already has that information. “If you receive an unsolicited request for bank account information and you’re not sure what to do, contact your bank directly to verify its authenticity,” advised Kathryn Weatherby, a fraud examination specialist for the FDIC. Beware of an incoming e-mail or text message that asks you to click on a link. It may install malicious software, called “malware,” that could allow crooks to spy on your computer or mobile device and gain access to your online banking sites. For tips on avoiding fraud at social media sites, including how to limit access to personal information with your privacy settings, see recommendations from the Internet Crime Complaint Center at www.ic3.gov/media/2009/091001.aspx. Assume that any offer that seems “too good to be true,” especially one from a stranger or an unfamiliar company, is probably a fraud. Con artists often pose as charities or business people offering awards, jobs, or other “opportunities.” Be careful if you’re being pressured to make a quick decision and you’re asked to send money or provide bank account information before you receive anything in return. Be on guard against fraudulent checks or electronic money transfers. One of the biggest scams involves a transaction in which strangers or unfamiliar companies send you a check for more than you are due and then ask you to wire back the difference. If the check is fraudulent, you could lose a lot of money. Protect your mail. It may include credit card or bank statements, documents showing confidential information, or other items that could be valuable to a thief. For your incoming mail, try to use a locked mailbox or a mailbox that is in a secure location. Put outgoing mail, especially if it contains a check or personal information, in a Postal Service mailbox or take it directly to the post office instead of leaving it in your doorway or home mailbox. Treat your personal financial information like gold. Keep bank and credit card statements, tax returns, old credit and debit cards, and blank checks out of sight. When it’s time to toss away these sensitive documents, shred them first. “You never know when a dishonest roommate, relative, neighbor or someone else who goes in or near your home might use these items to commit identity theft or other crimes,” Benardo added. Periodically review your credit reports to make sure an identity thief hasn’t obtained a credit card or loan in your name. Experts suggest that, to maximize your protection, you request a free copy from each of the nation’s three major credit bureaus (their reports may differ) but spread out the requests during the course of the year. For more information and to request a report, go to www.annualcreditreport.com or call toll-free 1-877-322-8228. To learn more about common financial frauds and how to protect yourself, see back issues of FDIC Consumer News (online at www.fdic.gov/consumernews) and the FDIC’s multimedia presentation “Don’t Be an Online Victim” (at www.fdic.gov/consumers/consumer/guard/index.html).